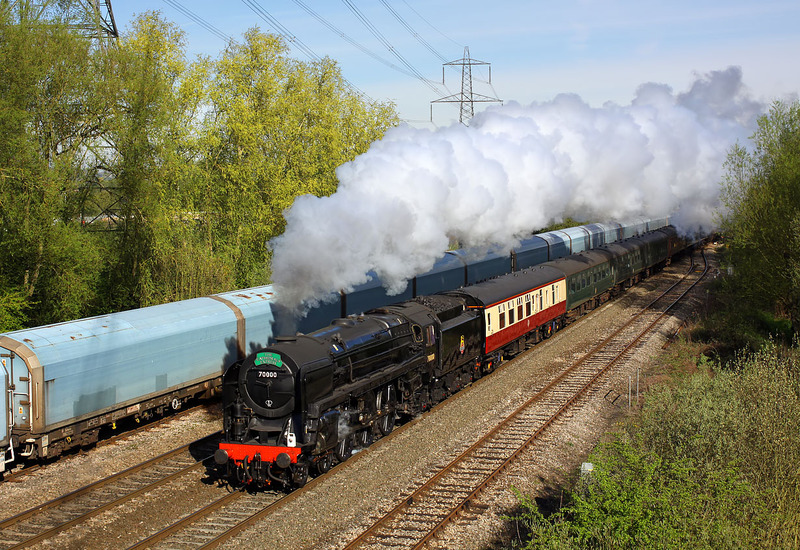 On 7 April 2011 there was the very unusual sight of an early morning southbound steam special originating from Oxford. Just getting into its stride, 7MT 4-6-2 70000 Britannia passes Hinksey with the Steam Dreams 1Z71 09:22 Oxford to Canterbury West 'Cathedrals Express' railtour. The slightly incongruous background is provided by the empty car carriers of the 4V40 03:49 Purfleet to Cowley service, which is waiting to gain access to the Cowley Branch at Kennington Junction.